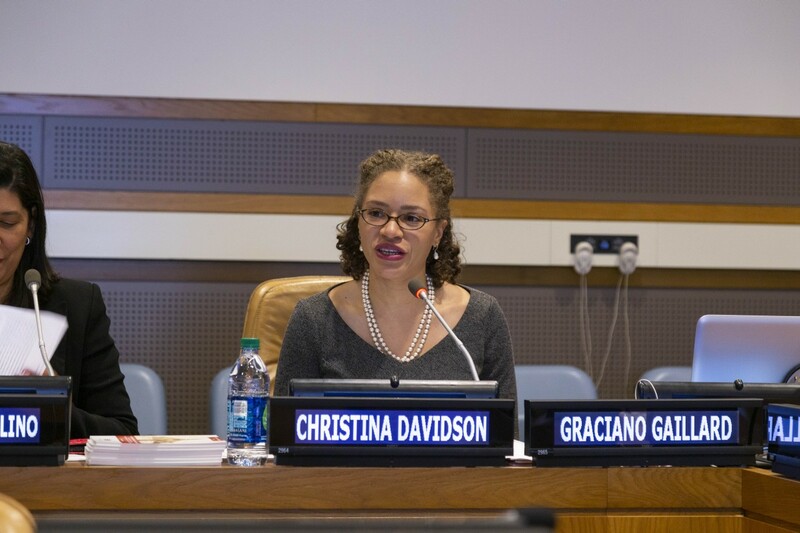 On Friday, February 1, the Global Foundation for Democracy and Development (GFDD) and its sister organization in the Dominican Republic, la Fundación Global Democracia y Desarrollo (Funglode), facilitated a presentation of a recently-released study by GFDD/Funglode Fellow, Dr. Christina Davidson, at the United Nations Headquarters in New York City. In front of a large audience and accompanied by GFDD/Funglode staff, Dr. Davidson presented the publication, “Analysis of Evangelical Christianity in the Dominican Republic,” which provides a glance at two historical protestant churches with great presence in the DR: the African Methodist Episcopal Church and the Dominican Evangelical Church. 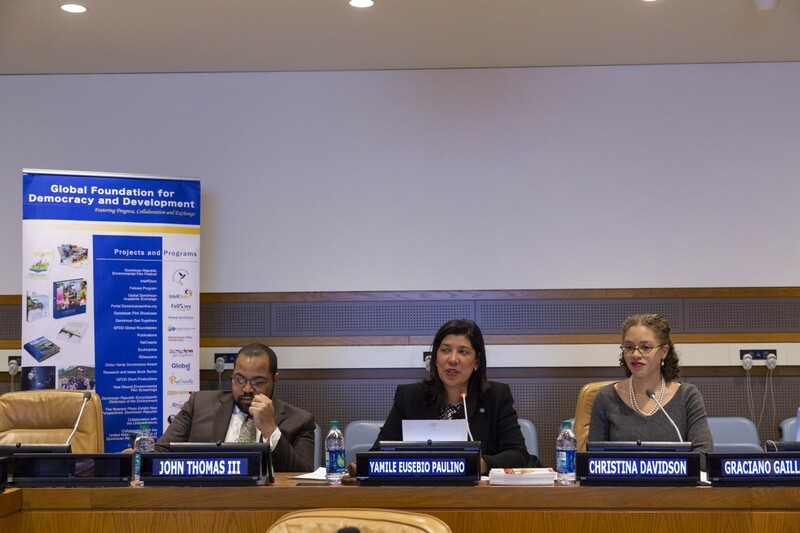 The event took place within the framework of the UN World Interfaith Harmony Week. 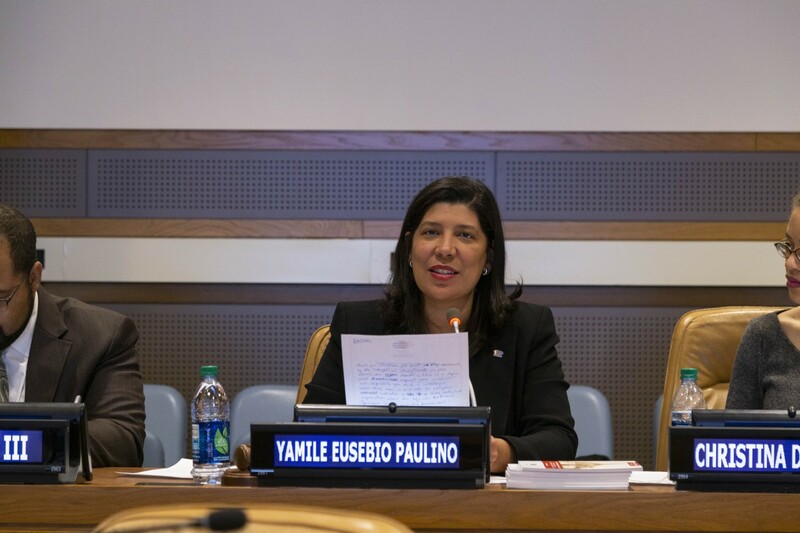 To kick off the program, opening remarks were given by GFDD New York Office Director, Yamile Eusebio, who thanked attendees and congratulated Dr. Davidson on her successful research project. Following Eusebio’s remarks, Dr. Davidson presented the main findings of her ten-month-long study. The researcher explained that her study utilized historical documents and interviews with church leaders to analyze how the institutions have changed and adapted to societal shifts overtime. Dr. Davidson also stressed that the history of the Evangelical Church in the Dominican Republic reflects the popular understanding of a unified identity among evangelical Christians, despite many differences among their beliefs and practices. According to the study, leaders of the two churches have adapted significantly to the growing influence of the protestant evangelical community. The churches have taken into consideration more ways to make their institutions more “Dominican” in terms of style and format, despite strong historical ties with the United States and a history of imperialism and racism among US missionaries. Dr. Davidson argued that the leaders of the two dominations must continue to confront challenges resulting from their connections to the United States. 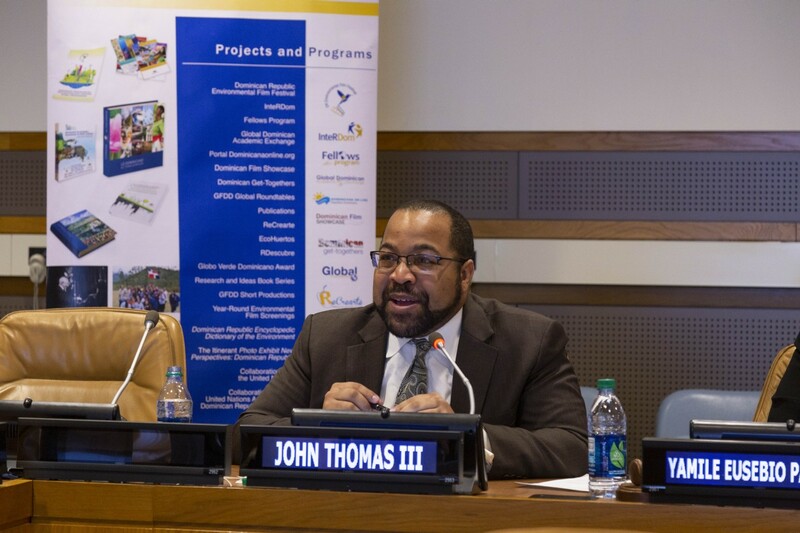 GFDD/Funglode had also invited Dr. John Thomas III, an expert and scholar on Afro-Peruvian civil society, to the event to provide additional commentary and reflection on the research initiative. Dr. Thomas III continued the discussion after Dr. Davidson, sharing some insight from his own research endeavors and involvement with the African Methodist Episcopal Church. 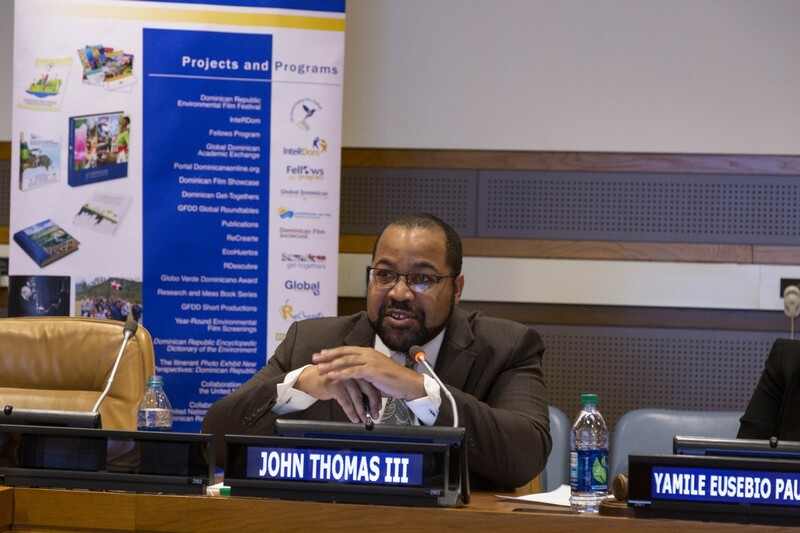 Following statements from Dr. Thomas III, a Q&A session took place between the presenter and the audience. To close the event Eusebio spoke, once more highlighting the valuable scholarly contributions of Dr. Davidson’s research and thanking Dr. Thomas III for his participation. Davidson has a dual degree in Latin American studies and International Studies from Yale University, as well as a master’s and doctorate in History from Duke University. Her doctoral thesis was sponsored by a Fulbright-Hays Doctoral Dissertation Research Award. From 2014 to 2015 Dr. Davidson collaborated with GFDD/Funglode for the second time. 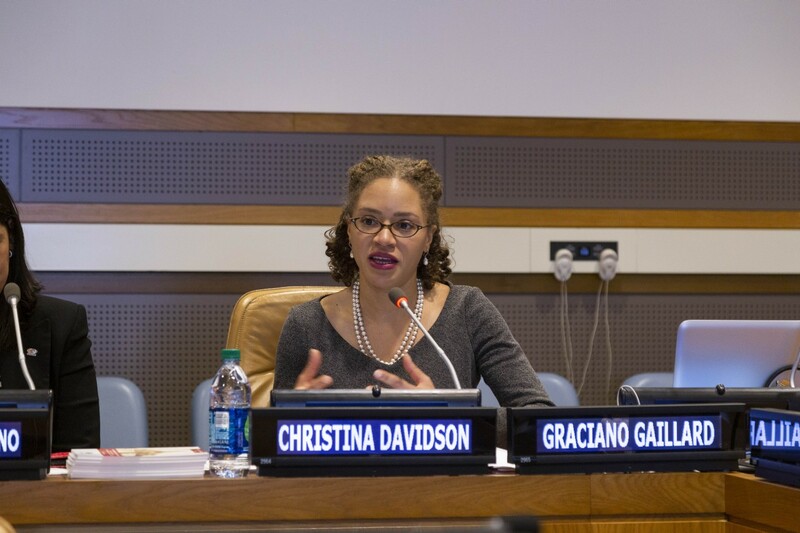 In 2007 Davidson carried out her first research in the Dominican Republic as a Mellon Mays Undergraduate Fellow. 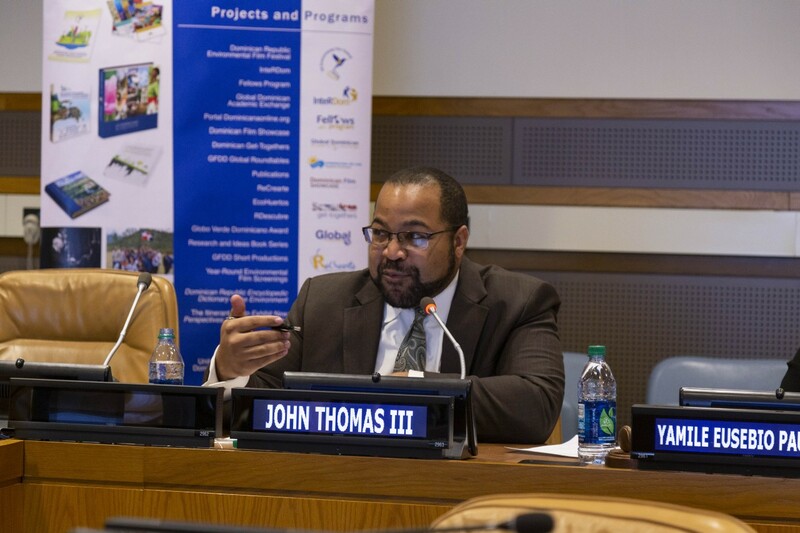 The final project presented by Davidson was the culmination of ten months of research in the Dominican Republic carried out between November 2014 and August 2015. The main supporter of the research was the GFDD/Funglode Fellows Program. 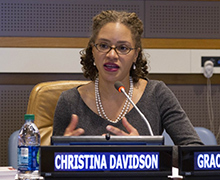 The Fulbright-Hays Program also supported Davidson’s investigation.